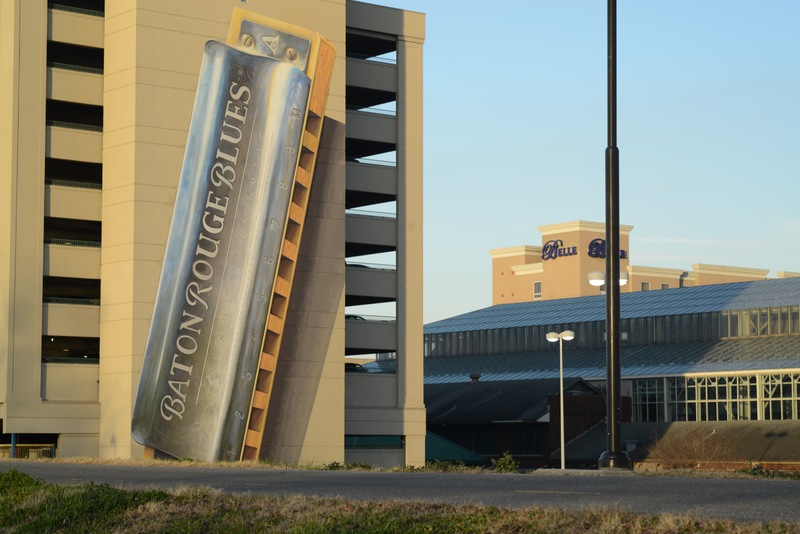 Baton Rouge is on the move and public art is popping up everywhere! Located where people work and live, this type of art reflects the history and values of a community. Monuments & Metaphors spotlighted some of the most endearing and best known public art in Baton Rouge as well as new projects by The Walls Project, the Museum of Public Art, and the Percent for Art Program of the Louisiana State Division of the Arts. Preparatory drawings, maquettes, 3-D printer models, and full-scale photographs reveald how these public works came to be, the stories they tell, and how they were made. 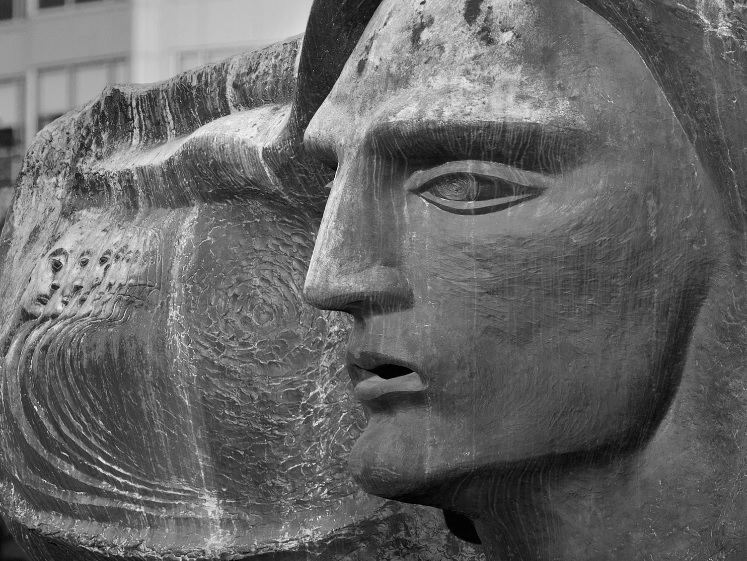 Frank Hayden, Head of Oliver Pollock, 1979, Bronze, 10' tall. Commission by the City of Baton Rouge. Location: Bernardo de Gálvez Plaza. Seth Globepainter (Julien Malland) with students from the Baton Rouge Mayor's OfficeSummer Youth Employment Program, Lady Liberty. 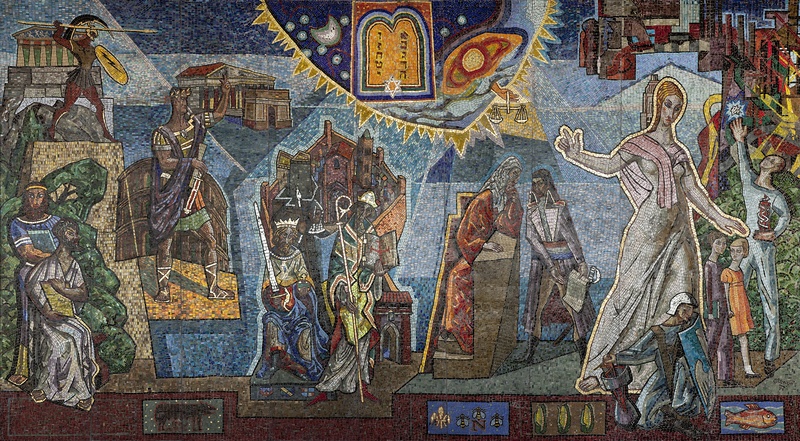 Conrad Albrizio, Elements of Government, 1955, Mosaci Tesserae glass mural, 9' 11" x 17' 8". Commissioned by the State of Louisiana. Robert Dafford, Baton Rouge Blues Harmonica, 2013, House paint. Commissioned by the Walls Project/Sponsored by Raising Canes.